Today, I left Shirakawa City and pedaled toward Shinkashi Onsen. 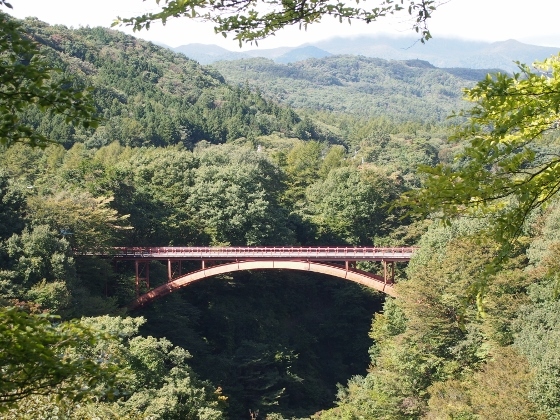 On the way, I visited "Yukiwari-Bridge" around which it used to be scenery spot during autumn red leaves. 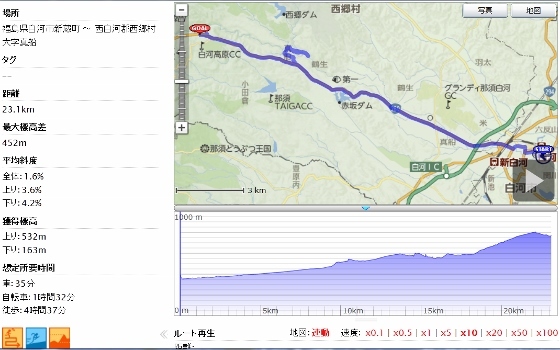 The route was National Route 289, and as shown by the GPS log data it was a hill climb over the pass. 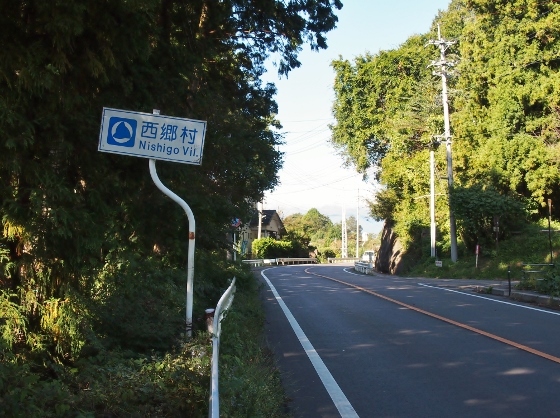 Two pictures are shown of the "Yukiwari-Bridge". 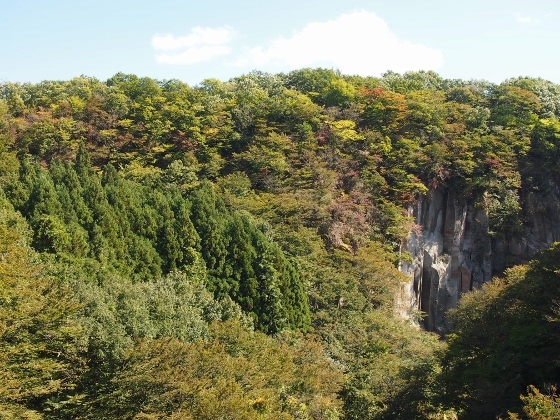 The autumn red was beginning but the peak will be coming two weeks later said local person. 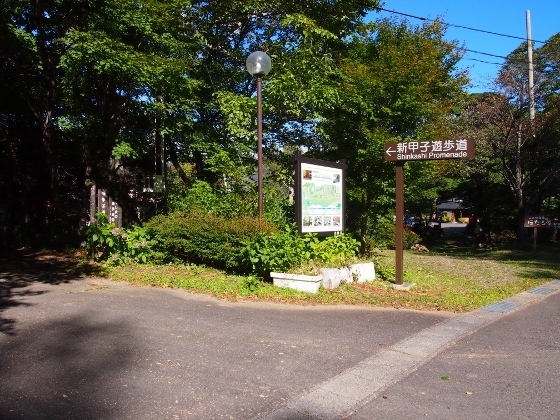 The 2nd picture was the one taken from nearby "Nishinosato" promenade. 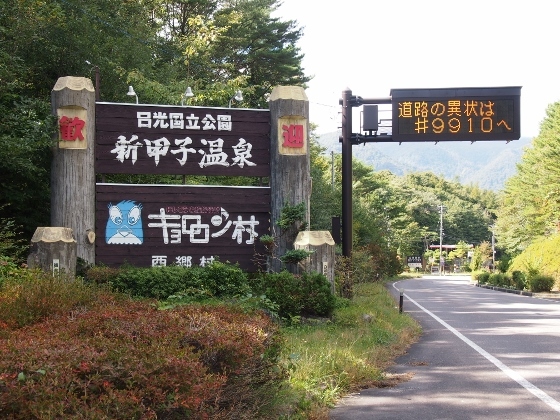 The picture above was the entrance sign for the Shinkashi Onsen. 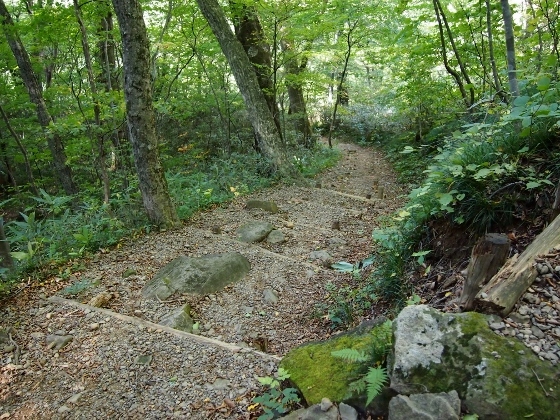 It was located inside the Nikko National Park. The pictures above show the Shinkashi Promenade. The first picture was the entrance sign, and the second one shows a view on the way. Today I stayed at "Gohousou" Inn shown in the picture above. 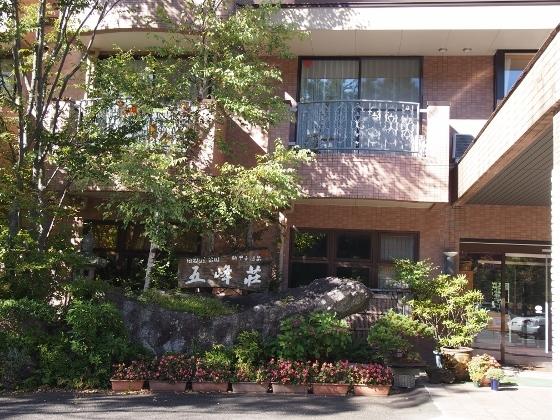 This was the member Inn of the "Association of natural Hot Spring Inns". They once used hot spring brought from Kashi Onsen before, but today Shinkashi Onsen had its own spring source here. The open-air bath of the Inn used 68 degree Celsius natural spring which was cooled down only by adjusting volume of flow into the bath. I realized the high quality soon after I bathed in and I can confidently recommend this open-air bath. The characteristic was the sulfate spring.